The King of the Jungle! A very well done photo. Great shot. My congratulations, Filipe Silva. Poor old king!! How many new fights shall he go for it?? Great composition and angle!!! Congrats!!! 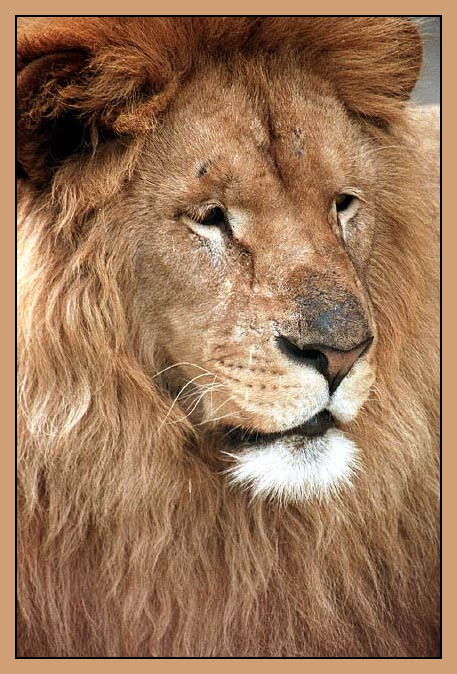 Very good portrait of lion! Where you successfully have photographed him so? Wonderful shot. Just wish I could see the twinkle in the eyes.